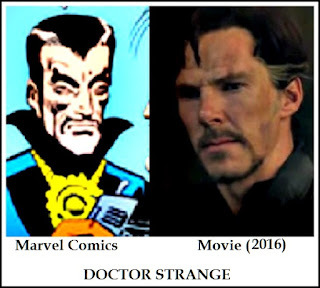 The movie Doctor Strange is based on the Marvel comics character, therefore it pushes beyond any realistic boundries. However, this is truly a fabulous fantasy movie that is mostly accurate with the depiction. I do love it when movies stick to the original book or source plot. Benedict Cumberbatch was perfect for the part of Dr. Stephen Vincent Strange! I was amazed at how much he actually looks like the comic illustration of Doctor Strange. His image will now forever be fixed in my mind as the face of Doctor Strange. In addition to having the looks, he did an excellent job of playing the role. He was quite convincing as an arrogant, self-centered doctor with a god complex. Then later, as a superhero straight from the pages of our favorite comic books. BENEDICT CUMBERBATCHDr. Stephen Strange is an accomplished neurosurgeon who has received multiple awards for his outstanding work. He is revered and hated by his colleagues. They need his expertise, but they despise his superior, know-it-all attitude. That "untouchable" and infallible attitude is exactly what costs him everything. While he is driving at high speeds in the rain, he is talking on his cell phone and also looking at the images that are being sent to him on it. Distracted from driving the car, he ends up in a serious accident that causes irreparable nerve damage to his hands. In desperation to regain his surgical abilities, he undergoes several operations. Some are even considered extremely risky. During rehab, he learns of one patient who actually was able to beat the odds and was miraculously healed. Dr. Strange goes to visit the man to find out his secret. The man sends him in search of the "Ancient One". When he finally finds her, she rejects him at first, but is convinced by Mordo, one of the masters, that she should reconsider and admit Dr. Strange. That is when the martial arts instruction and spiritual teaching begins. 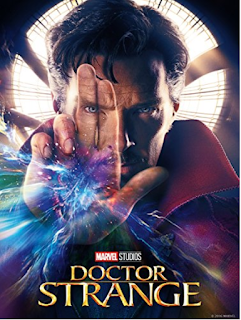 Because Dr. Stephen Vincent Strange has a photographic memory, he learns the fundamental basics of sorcery quickly by reading, but the actual focused ability takes longer for him to master. Once he does, he has to decide if he wants to harness his new found abilities to heal his own physical handicap or if he will stand as the defender of the universe against the evil Kaecilius, who wishes to usher in the master of darkness to rule the world eternally. To find out what Doctor Strange decides, you will need to see the movie yourself. This is a great movie that I could easily recommend to anyone. Since it is based on the Marvel comics, it is intended for all ages. As with any fiction, especially comics that feature superheroes and supervillans with extraordinary powers, there is a required ability to suspend reality. However, the struggle between our world and the supernatural does seem to have a parallel to reality and our constant struggle of good against evil. One note, Mordo's character is a bit different in the movie than in the Marvel comics. In the movie, he is a needed ally, however in the comics Mordo is a supervillian who plots to kill both the Ancient One and Doctor Strange. I believe the movie ended in a way that sets the stage for Mordo to transition to his original character, but in this movie, he plays a good guy. When you see the movie, be sure you stay until the very end of the credits. There is extra footage that you will not want to miss! To my fellow contributor Buckhawk, you will be especially interested in that footage because it includes Thor. The minute I saw the title of this movie, I knew that my daughter & son-in-law would be in line to see it. My SIL (being a comic book artist) is a big fan of Marvel Comics and the whole arena of superheros and such, as is my artist daughter. They are also big movie buffs! THEN, I saw Benedict Cumberbatch on SNL and after hearing his voice I definitely want to watch Dr. Strange! Fantastic movie review! This is one I think everyone can enjoy if they enjoy fantasy films. I'm not personally crazy about sorcery, but let face it, that is often part of fantasy. Even fairy tales have enchantments and spells. My husband and I are anxious to see this movie! We are such fans of comics and the Marvel movies are great to watch. We just know that Dr. Strange will be awesome, too. Thanks for this terrific review! It will not disappoint Bev! It really is fantastic and I love that they have prepared the way for a sequel. Just be sure you stay until the theater lights come up. This is the first time that I have seen 2 extra post-credit scenes and they are extremely important to see. Excellent review! I'm sure my sons will be going to see this one. The special effects look amazing. The special effects really are amazing and something I neglected to comment on in my review. Thank you for bringing that up Susan!